Lotus F1 Team endured a double retirement in today’s Canadian Grand Prix after Pastor Maldonado and Romain Grosjean both returned their cars to the pit garage before the end of the 70-lap race. Pastor suffered from a power unit related issue whilst Romain’s rear wing was damaged. Romain Grosjean, DNF, E22-03: “Today was not great in terms of pace for me, however there are some positives looking forwards. We can see that a Renault Sport F1 team can win a race so we have a target there, especially when the win came at a circuit that is not thought to be one of the stronger ones for them. Congratulations to Daniel for his win which I watched in the garage. The rear wing of my car broke, so it was safer to retire than risk a potentially dangerous situation. We have a lot of work to do, so it's time to go home and try to understand our problems and come back stronger in the next races." 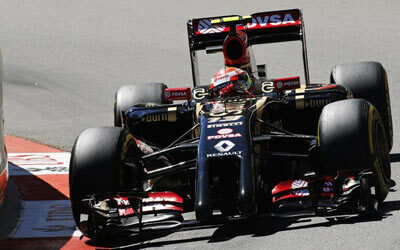 Pastor Maldonado, DNF, E22-01: “We had a similar problem to yesterday where we lost a lot of power. It's a shame as the race was going very well, and we had an excellent pace - to be honest I was quite surprised by the car. The strategy was good, as we were looking for one stop whereas all the other cars were planning two stops, so we were looking very strong today and even without stopping we were on a similar pace with the other teams. We just need to look into exactly what happened and work hard to fix the problems we are having. We’ve shown we can be competitive."